The opportunities offered by a career in nursing and midwifery have never been better, with roles ranging from the essential day to day caring responsibilities – to the highly technical, research, executive leadership – and many, many more. More than 250 ideas, stories and suggestions were submitted to this platform by a diverse group of people. 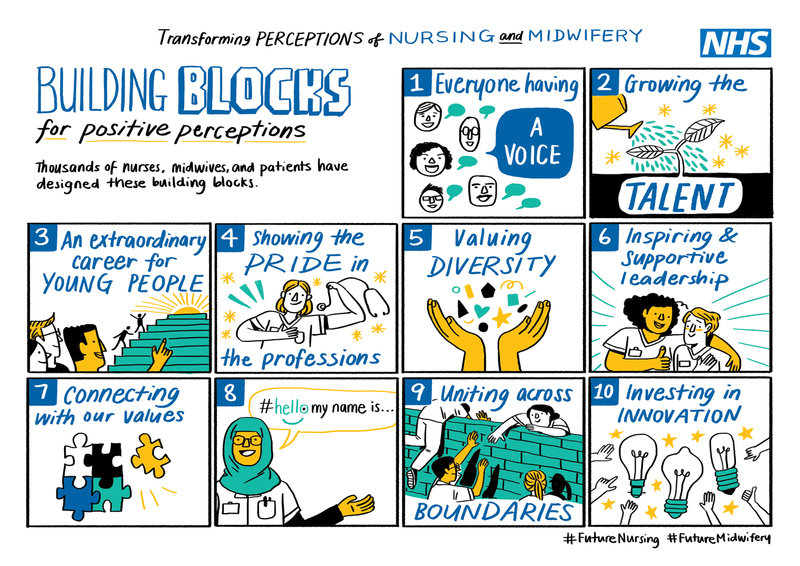 By working with nurses, midwives, Ambassadors and decision makers, these ideas have been mapped into 10 Building Blocks that will aid the development of positive perceptions of nursing and midwifery. 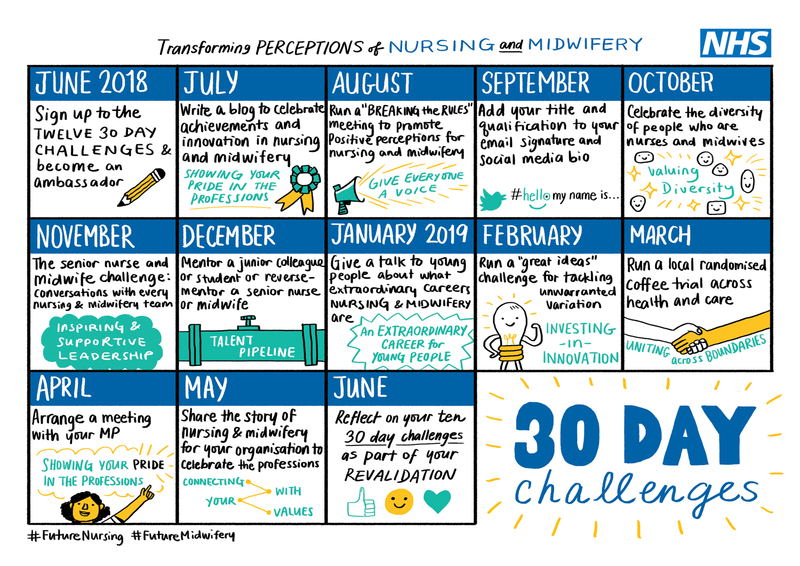 Find out more about the programme, and sign up to be part of the 30 Day Challenges. Read about the virtual hackathon.